What is Estate Planning? If you could not manage your own assets, who will do it for you? 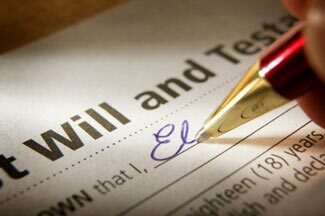 After your death, who will inherit your assets? In estate planning, you will make decisions and instructions about these basic questions. We create your plan so that your wishes are honored. You will designate people who you trust in advance, so that if you are incapacitated or deceased, your assets will be handled according to your wishes. After your death, your assets will be given to your intended beneficiaries. If they are minors, we include provisions so that they will inherit only after reaching a certain age. If they have issues, such as alcoholism or drug addiction, we include provisions to ensure that someone else is handling the money and other assets for them. With a proper estate plan, your loved ones will not need to go through expensive and time consuming processes like conservatorship and probate if you are incapacitated or deceased. A comprehensive estate plan for most people will include, at minimum, a living trust, will, power of attorney, and an advanced health care directive. Kaz Uemura is one of a few Japanese speaking estate planning attorneys in the South Bay area. He frequently gives educational seminars for local organizations in Japanese.